Part of the challenge here is to dress up the existing roadbed in a way that gives the illusion that the track is located on a bridge, not solidly anchored in ... errrmm ... "rock". Here's what the front of the bridge looks like now. The arcs are in, and the foundations are fit into the scenery. 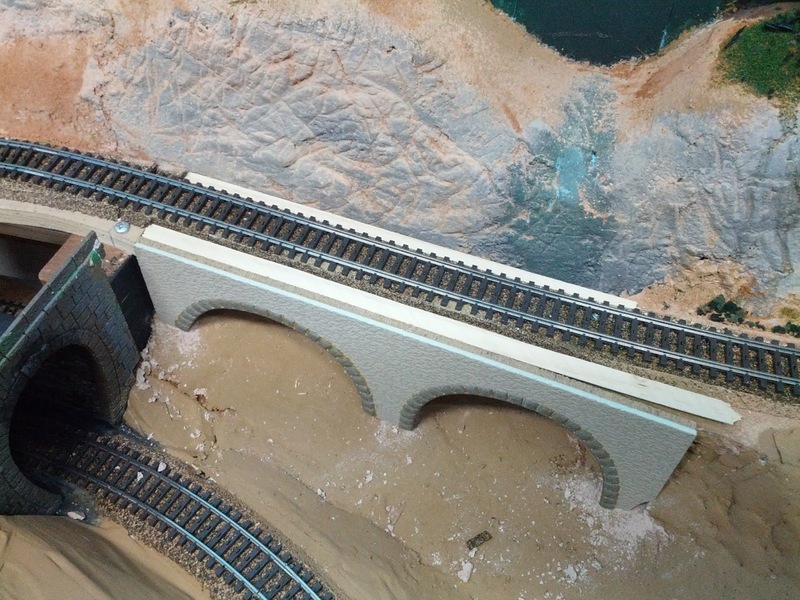 Later I will sculpt some rock work on the right of the bridge as well as fill the gap between the bridge and the tunnel portal. Notice the jagged sub-roadbed behind the bridge facade. I already cleaned it up a bit in order to fit the wall and the arcs. Here's an experiment of how this bridge illusion could work out. The veneer strips already frame the track and can be built up further with some scale strips from wood or styrene to complete the bridge deck. 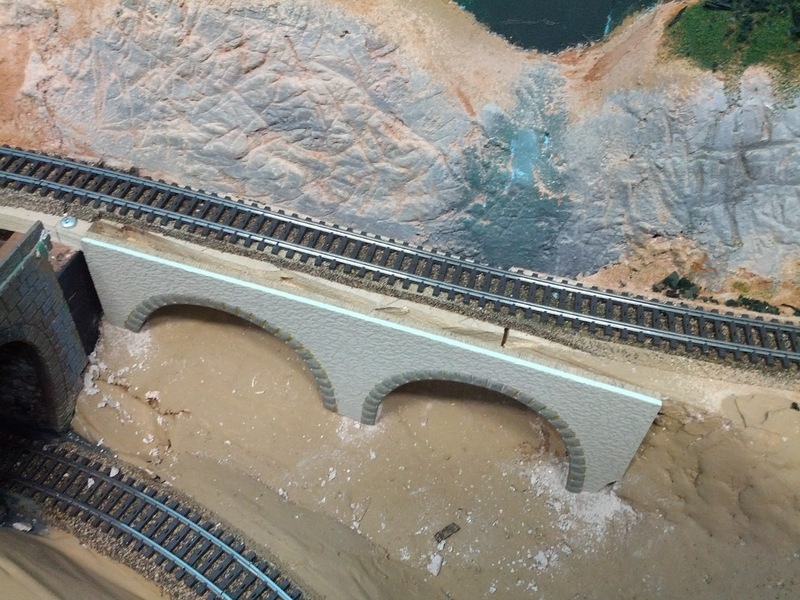 Once this is painted, ballasted, and topped with bridge railings, I think the effect should be quite nice.